This Philippine-American artist is as significant as Pollock in modern art history. 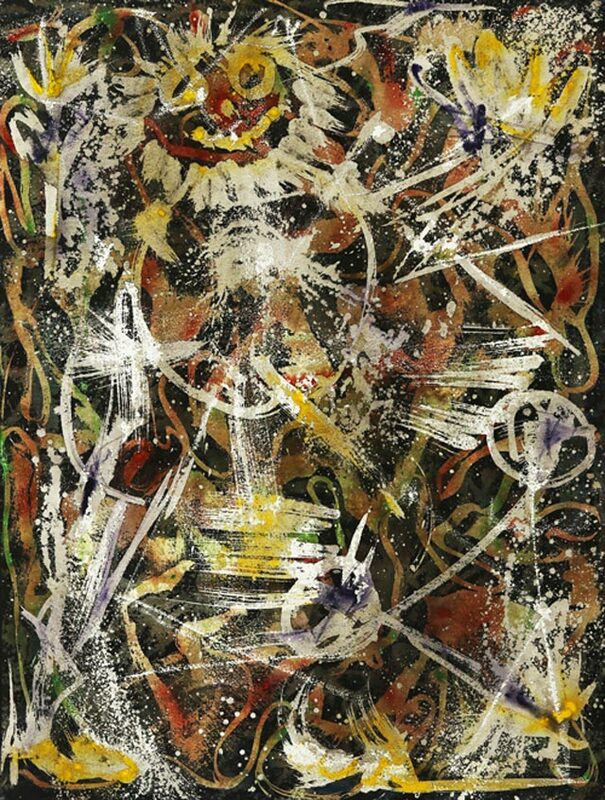 (SPOT.ph) Among the vanguards of abstract expressionism, Philippine-American artist Alfonso A. Ossorio (1916-1990) stands out as one of the guiding figures that played a part in its development. To this day, museum visitors are dazzled by abstract canvases that are the result of his patronage and support towards his more eminent peers, the most notable of which is the close friendship between him and the pioneering trailblazer Jackson Pollock (1912-1956). One of the main highlights of León Gallery’s Magnificent September Auction is the final farewell of Ossorio to his good friend, finished in the aftermath of Pollock's sudden demise in 1956. "Cross-Section/Ascension" (dated 1956 to 1957) was done by the artist as he shifted away from his wax drawings to thicker impasto abstractions. During the post-war years in New York, he began a friendship with French artist Jean Dubuffet, whose works of art brut (raw art) attracted him towards textures with thick impasto of soot and tar. For Ossorio, the works of Dubuffet provided an artistic outlet that is free from expressions and rudimentary conventions of his own earlier works. It was through this that he would be introduced to Jackson Pollock, then a struggling artist. Coincidentally, Ossorio was engulfed in the trend of abstract expressionism, and transitioned into textured abstractions that were formed out of the usage of a variety of media including oil, enamel, and plaster, among others. From then on, both artists veered away from figurations and sought their expressions onto the canvas through thick waves of impasto. Acting as Pollock’s own agent, Ossorio helped exhibit several of Pollock's lyrical abstractions at the noted Betty Parsons Gallery in New York. He even purchased the American painter’s "No. 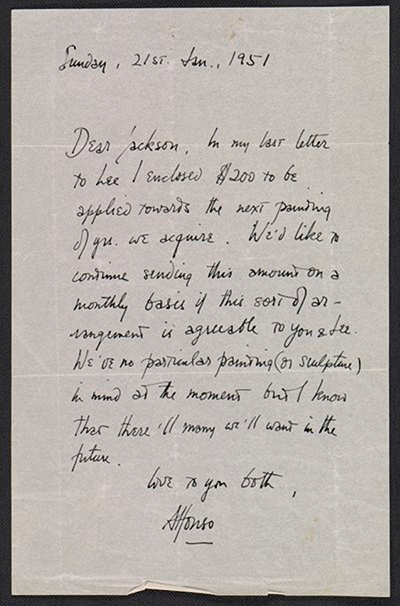 5" for U.S. $1,500 during Pollock's first one-man show at the same gallery in 1949. The unlikely friendship between Pollock, a tough, rugged painter often involved in brawls against his fellow artists, and Ossorio, a soft-spoken and mild-mannered gentleman, proved to be one of the most important relationships in the history of modern art. In fact, several works done by Pollock and his contemporaries that have been auctioned off at record prices passed through the hands of Ossorio himself. The two were close partners not only in art but also in their personal lives. Through Pollock, Ossorio was convinced to purchase an estate along the banks of the Hamptons, known as The Creeks, in 1951. This mansion hosted the likes of Truman Capote, Marcel Duchamp, and an exiled Spanish royal who shall later be crowned as King Juan Carlos I of Spain. 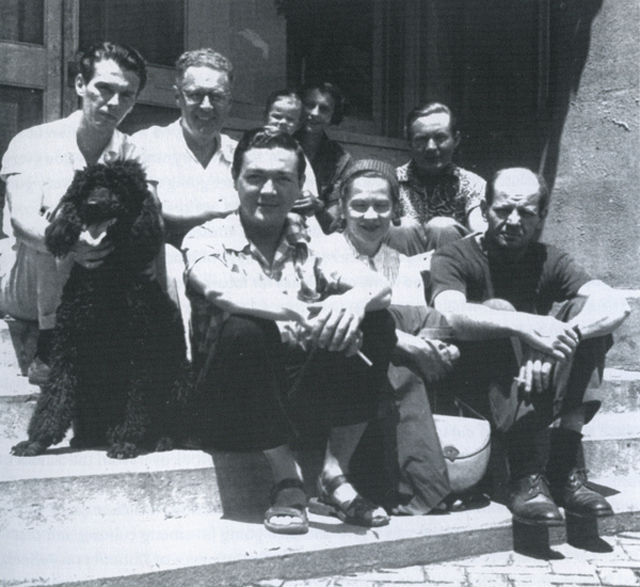 While back in the Philippines to finish the commissioned mural for his family’s estate in Victorias, Pollock and his wife Lee Krasner offered to reside there as its caretakers. Their friendship—though often turbulent at times—proved to be imperative for both artists, with Pollock being given a monthly allowance of U.S. $200 in exchange for a series of luminous abstractions that are now displayed in museums across the globe, which Ossorio fervently enjoyed. All of this suddenly ended on August 11, 1956, when, while racing to a function at The Creeks, Pollock riding with two female companions crashed his car onto the side of the road. 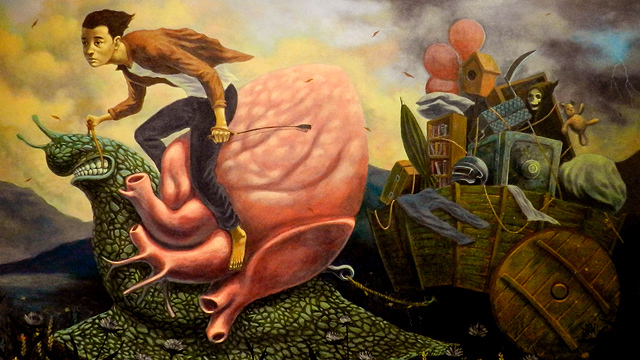 The sorrow and grief that consumed Ossorio with the demise of his beloved friend engulfed the once experimental dilettante to be fully engaged in composing a final farewell onto masonite. With vibrant colors of ochres, reds, and blacks splashed in a precise manner, he created "Ascension" (1957), which was originally titled as "Cross-Section" (1956). Beginning as a work viewed horizontally, Ossorio in his Catholic nature changed its position on the wall into his version of Christ’s ascension into the heavens. In this work, he sought to congregate his raw emotions and angst to be closer to his closest friend and confidant even in spirit. For him, befalling for the allure of dark and mystical convulsions continued on his medium—from that of abstraction to his renowned Congregations, which is a milieu of assemblages culled from found objects that continued on until his sudden demise in 1990. A rebirth in the fascination on Ossorio’s art has developed a consistent following in the land of his birth, given the success of a theatrical adaptation by Floy Quintos of his life based on the conceptualization of "The Angry Christ" mural. 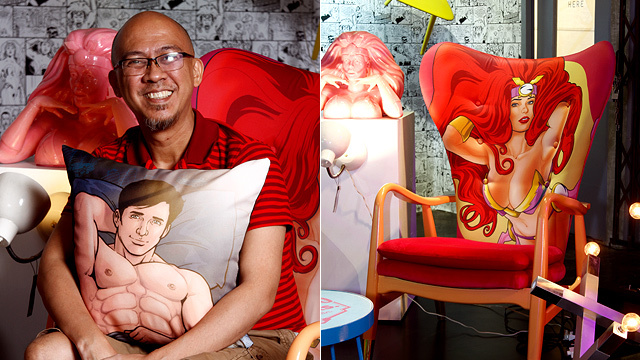 A very successful exhibition titled Afflictions of Glory, curated by Lilliane R. Manahan and Lisa Guerrero Nakpil, was held at León Gallery in 2016, coincidentally marking the occasion of the centennial of the artist’s birth. 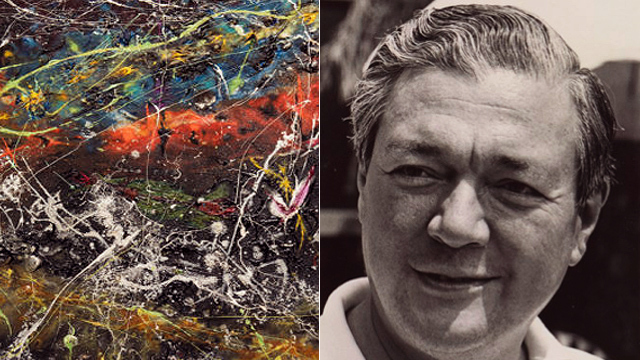 Jaime Ponce de León, managing director of León Gallery stated: "There may not be any other figure in the history of abstract expressionism that will loom larger than Alfonso Ossorio... Ossorio played patron, friend, and collaborator to Pollock. They certainly lent each other’s mind to cause the move of the ground zero of art from Paris to New York.” Twenty-five years after his death, this work has reclaimed the life of the famed bohemian to the millennial generation, a fitting final farewell from this tidbit of artistic history.